You can now copy/paste inside the Kabuto Live Powershell and Command Line Terminals. We fixed a bug where the bottom portion of the Kabuto installer was getting cut off on high DPI monitors. We clarified the verbiage in the Kabuto Live connection failure notification to make it easier to understand the issue. We fixed a bug where Kabuto Live was getting uninstalled by mistake. We fixed an issue in Firefox where pressing “space” would accidentally delete the previous command line text. We fixed an issue in the flow for requesting Kabuto Live remote access where the modal used to request remote access time allowance on the customer’s side was appearing one hour longer than what was requested by the technician. Fixed a false-positive where Kabuto Online Dashboard was saying that Kabuto Service was online. Techs were able to click the Kabuto Live button because of this, and the Kabuto Service wasn’t actually running, resulting in “Remote Host Not Found” error. P.S. For those who don’t know: Our latest and greatest creation, Kabuto Live, is now available for use! This module allows you to remotely connect to and manage Devices straight from Kabuto, so you no longer have to worry about launching another remote access tool to handle issues that arise with customers. We encourage you to test it out via a Free 30-Day Trial, initiated via clicking the “Kabuto Live” button in the top-right corner of any Device. Find out more in our blog post here. 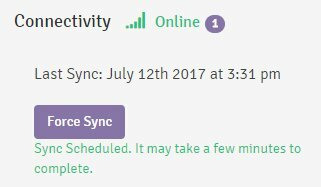 Installation Process Update: When you use the Technician Installer, it will now show you the status of the first sync after installation. This gives you more information regarding the progress of EAM Installation, Patch Management, and more, while installing Kabuto. – Techs can gain insight into the installation process in real-time. – Computers can be given back to clients faster, because there’s less guess-work during the installation process. Easily View Latest Sync Info: With this feature, you can simply “Shift + Left Click” on the Kabuto system tray icon to view the latest Device sync information! Check out this video to see it in action. – We’ve revamped Kabuto syncing so that individual items can sync independently of full sync. – We made it so that certain items now sync as often as once every 15 minutes. Kabuto Service not syncing for some devices unless computer restarts or service restarts. Uninstalled Devices are showing up in searches from the Device Index page. When trying to update credit card info, it does not show certain types of errors to the user. We’re improving communication: In order to keep you more up-to-date on what we’re working on and continue to be as transparent as possible, we launched this bug tracking forum post. We added a new screen to the Kabuto Installer that shows up while Kabuto is updating the system’s .NET version to be the latest. Because this process can take a while, we added a clearer message to explain what’s happening. Added custom branding to .NET installation screen, instead of Kabuto logo. Fixed a bug that made it so Hard Drive Checks weren’t working on Solid State Drives. Fixed a bug where if you manually uninstalled Emsisoft Anti-Malware from the client side, there were some cases where we wouldn’t automatically reinstall it. It’s now required for end-users to enter at least one form of contact when they request service. Fixed a bug related to Managed AV “Bring your own Key” where every keystroke would force the browser to lose focus on the text field. Hey! We just released an awesome new feature called “Customers”. There has been some confusion about this feature, so we wanted to write this blog post in order to clear some of that up. A Customer is just a group of Devices. It could represent a Family, a Company, an Individual, “All Residential Customers”, or any other grouping you can think of. The purpose of adding this feature is to allow you to easily group your devices. For example, if you have a home user named “Jane Doe” with 3 computers, you can create a Customer named “Doe Family” that owns those 3 Devices. If you have a business client “John’s Store” with 20 Devices, you could create a Customer with that name and put the 20 Devices under it. This will enable us to give you a bunch of new features on a per Customer basis, like insights, reports, and settings. For example, you can already go to a specific Customer and see all the devices under it that have issues. How do I make a new Customer? From the Online Dashboard “Customers” page, just click the “+” button. From the Kabuto Standard Installer, simply type the name of your Customer into the Installer. If it matches an existing Customer, it will add that Device to that Customer. If the name you enter does not exist, it will create a new Customer. Does this affect my existing Devices? All of your data for existing Devices is still there. You still have the Devices page on the Kabuto Online Dashboard if you want to look through your list of Devices just like before. Customers gives you an additional way you can organize your Devices. To make things easier, we went through all of your existing Devices, and if there were 2 or more that had the same “Company Name”, we created a Customer with that same Company Name, and put those Devices under it. Anything that did not match that algorithm was put into a generic placeholder Customer called “Default Customer”. This is of course easy to change if you want to organize your Devices different. 1. Select 1 or more Devices on the “Devices” page, and click the Migrate button (looks like two arrows going left/right). 2. Go to a specific Customer, then to the Settings tab. At the bottom you’ll see the “Migrate” button. How does this affect the Kabuto Installers? Previously, you had two installers: The Customer Facing Installer, and the Technician Installer. The Technician Installer gave you all the customization options, whereas the Customer Facing Installer only asked for contact info. Now, you have the Standard Installer, and a Customer Installer. The Standard Installer is the same as the Technician Installer, but has one extra feature. When you install Kabuto on a Device, it asks you for a “Customer Name”. You can type in this field any name you want. If it corresponds to an existing Customer Name, it will just add that Device to that Customer. If not, it will create a new Customer, that owns that Device. This field has autocomplete, so it makes it easy to figure out if you already have that Customer in Kabuto. Second, you have the Customer Installer. This is very much like the Customer Facing Installer, in that it only asks you for Contact Information, except that it’s tied to a specific Customer already. So when the installation is complete, it already knows which Customer the Device belongs to. Is there a way to reproduce the Customer Facing Installer functionality? Yes! You can just make a Customer called “Customer Facing Installer” (or whatever you want to call it), and then download the Customer Installer for that specific Customer. You can then give out that Installer, and it will function exactly like the old one did. Patch management for Windows 10 now handles it’s update schedule differently by leveraging “Active Hours”. This will only appear for Windows 10 devices. You can now reboot a single or many devices on next sync via the “Devices” page and the Settings page within a Device! A bug causing Managed Antivirus licenses to say they expired 47 years ago (wow) has been fixed. Licenses should function better than ever now. Improved Windows Firewall Check so that it shows prompt if Public OR Private Windows Firewall are disabled, rather than AND.